I love surprising my chickadees. 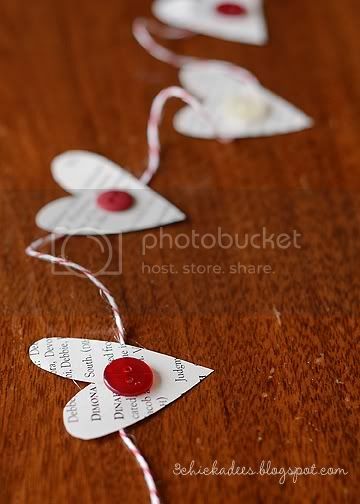 Today they are going to be surprised with this book heart garland I whipped up while they were at school. 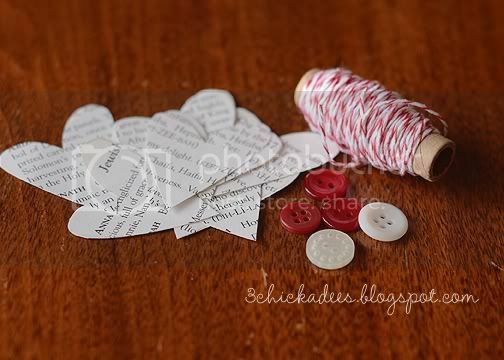 This is a super simple craft! I don't have a lot of time to craft so what I do has to be simple and fast. 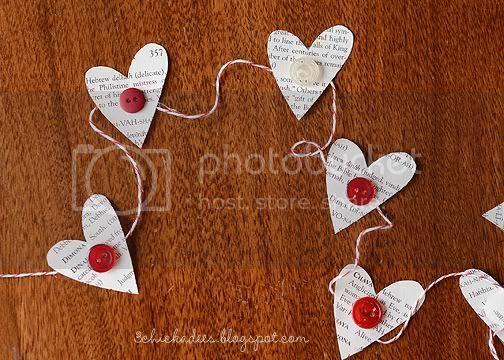 I basically freehand drew some hearts and traced them onto old book pages. Old baby name books are great for this type of project! 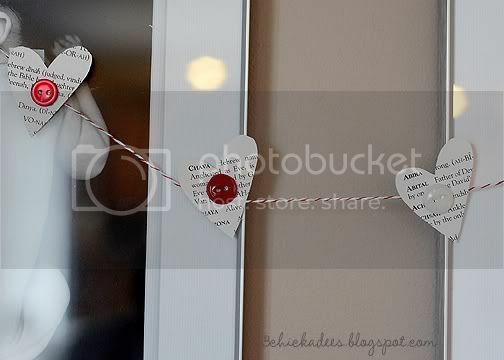 I cut them out and taped them to bakers twine. Added some buttons with hot glue and we're done! A little time crafting and it will mean a lot to my little ones! How do you like to surprise your little ones?